With Father’s Day coming up this weekend, lots of us are still trying to come up with the right gift or even just find the best way to tell Dad how much we appreciate him. Well we’re definitely not in the greeting card or necktie business, but we do have some ideas for how you can share your love of running in a way that shows just how much you care. Bonus points: If Dad doesn’t have Android or an iPhone, consider bringing him into the future with new hardware. The logistics of giving a cell phone as a gift can be tricky, but an iPod Touch with an app or two preinstalled is a piece of cake. If you have brothers or sisters, make them pitch in. 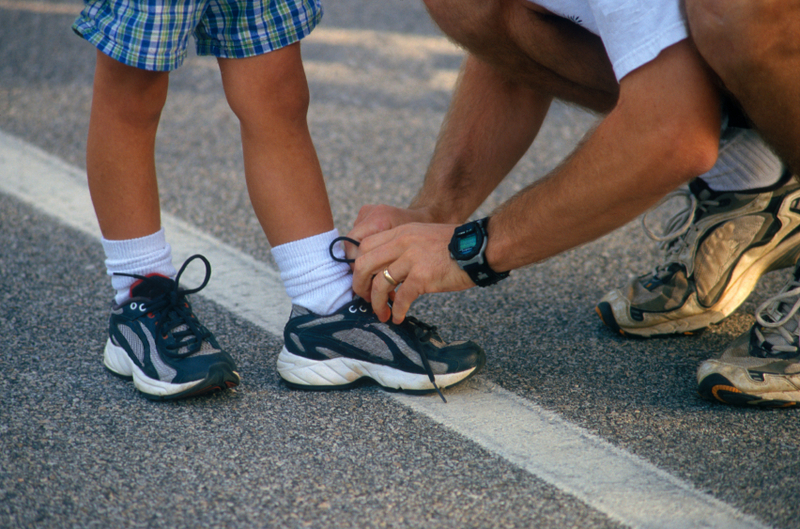 Take a Father’s Day run or walk. Apps (and neckties and grilling gear) are great, but honestly the best thing you can do for most dads is spend some time showing them you care. Make Dad your training partner this weekend and log a few miles together. Let him set the pace — running if he’s into that or just going for a nice walk if he’s not. Obviously it isn’t about speed or distance…just spending time together. Bonus points. Have siblings? See if you can pull everyone together as a group for your run or walk. There’s nothing quite like having the whole brood in formation, honoring their dad. Get fit together. Anybody can be a good kid on one Sunday a year, but if you want to really raise the Father’s Day bar, commit to some longer term training with Dad. Decide on a program, get each of you set up with the appropriate app, and work together to complete it. The motivation of a training partner will help both of you. Keep in touch online or on the phone and share progress from week to week. Bonus points? Run together. It probably won’t be realistic for the two of you to do daily train as partners, but definitely make an effort to convene at least occasionally. Maybe schedule a run together every couple of weeks to check in or agree to complete a race together once the program is complete. Hope everyone has a great, healthy, happy Father’s Day.